Over at BiKASE, we are always working on and thinking about new product ideas. 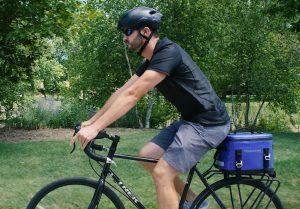 About 10 months ago someone in our office brought their lunch in a soft cooler and the idea struck us about carrying a soft cooler on a bike. 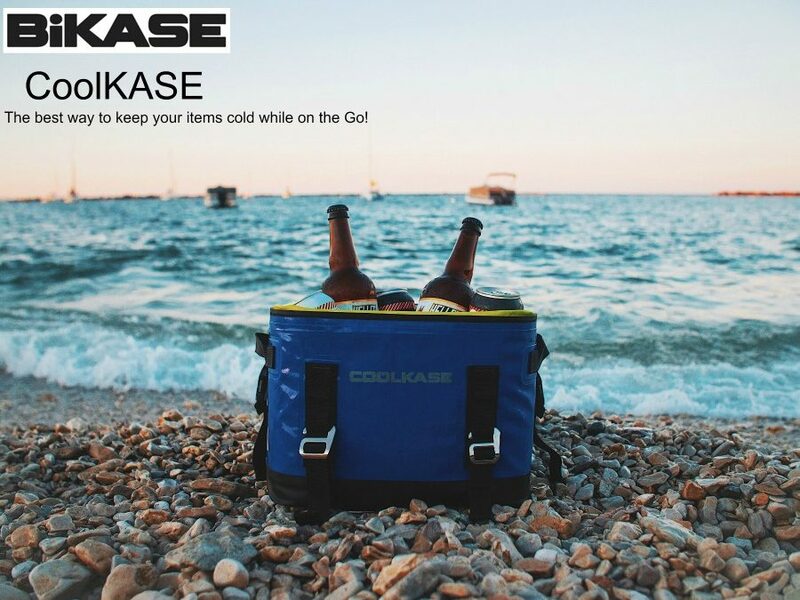 After some thought, multiple designs and lots of testing (some that included a cooler full of beer and ice), we are proud to announce the CoolKASE. Everyone in our office is using a CoolKASE for just about everything, lunch, backyard cookout, camping, afternoon at the beach, even a week long trip driving from Wisconsin to Alabama to Arkansas and back to Wisconsin (kept Yuengling cold! )…you name it, we put the CoolKASE to the test. The ice stays cold longer and a 12 pack of cans or bottles (12 oz beer or 16 oz water) fit perfectly. The CoolKASE mounts to many types of transportation methods using 3 straps, ideally designed to work with a bicycle rack, scooter rack, ATV front or rear rack, kayak and canoe. The outside material is a tough puncture resistant shell and the inside is a seam sealed waterproof liner for easy cleaning. Reflective accents on the front and back give visibility when using at night. There are 2 d-rings on the top to connect a shoulder strap and 3 handles for easy carrying. Best of all, the CoolKASE comes with a bottle opener!  Problems solved! Our CoolKASE is now live on Kickstarter. Price is $99 during the month of August on Kickstarter, regular price after kickstarter will be $150.00 (USD). NOW is your chance to grab our cooler at a fantastic price…click here for Kickstarter!